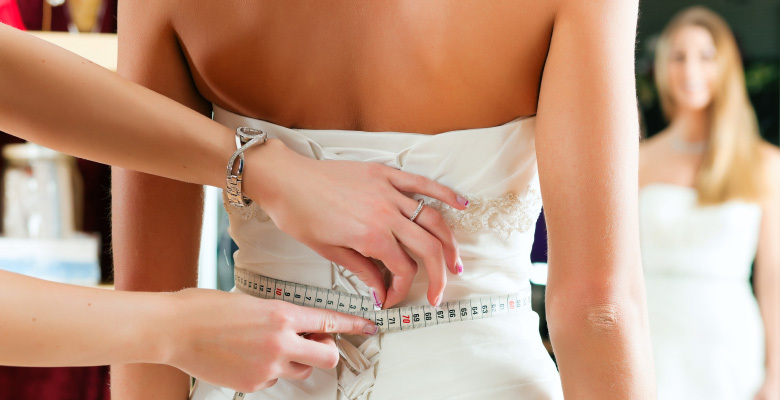 Have you lost weight before the wedding ? Do your bridesmaids dresses need altering ? Does the mother of the bride need that special dress altering ? Are the groom or best man a little tight or loose in their tails ? Or would you just like "the perfect fit" ? We offer a bespoke fitting service and have two fitting rooms to allow multiple fittings at once. Our wedding wear alteration services are all carried out by our inhouse team of dressmakers and seamstresses and our aim is to ensure that your big day is perfect. Normally our turnaround time is 14 days but if you are "in an emergency" then call us we will always endeavour to help.